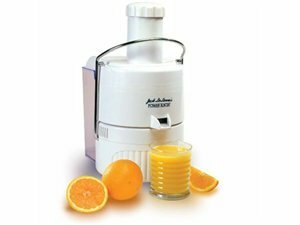 Fast, healthy, fresh juice in seconds. No slicing, no dicing, no peeling, use the whole fruit. Special patented extraction technology. Extra large round feeder. Super sized detachable pulp collector. dishwasher safe. Whisper quiet operation. 3600 RPM motor has lifetime guarantee. Built in safety features. Surgical quality stainless steel blade. Commercial quality. 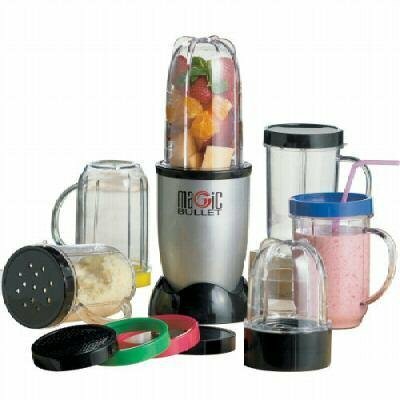 Free bonus Secrets of Power Juicing Recipe Guide included. Dimensions : 15. 5” H. x 10. 5” W. x 17. 75” D. White. As seen on TV.